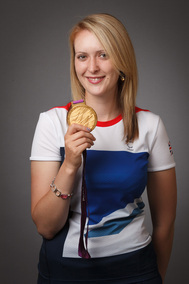 Recently I attended a workshop day in Spalding with Danielle Brown MBE – on Performing Under Pressure – Sports Psychology. I think that all archers would benefit from what she goes through, it will give you a good “tool kit” to help you with what goes on in your mind when you are shooting. I have used some of the principles the other week when I shot at Sherwood’s Western and put 10 points on my PB (having put 16 points on it 2 weeks before) but the weather was not very good – so it worked for me. Barry Molsom (head coach in Lincolnshire) is looking to see how much interest ther will be for running another course – hopefully be Feb/march ish.